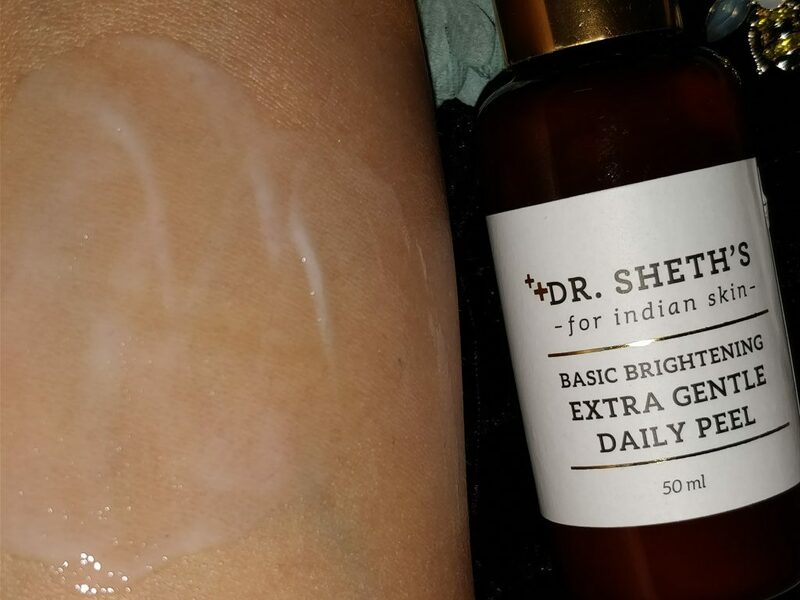 Our Indian Skin tend to produce more quantity of melanin due to the harsh environment that we live in – dust, pollution and UV damage everything takes a toll on our skin. 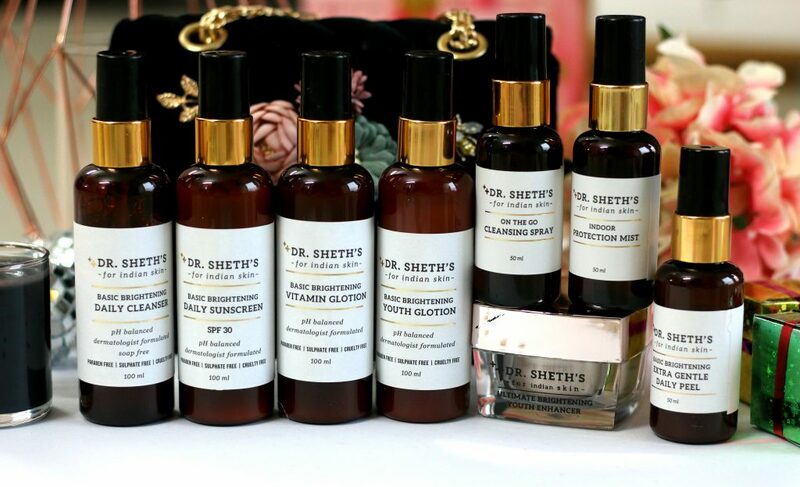 Dr Sheth’s products contain higher quantities of actives which are specially formulated for Indian skin. The ingredients list for these products are really awesome. Especially, the Vitamin C, kojic acid,Vitamin A, hyaluronic acid, Niacinamide etc. I honestly feel this brand’s like ‘The Ordinary’ brand version from India! 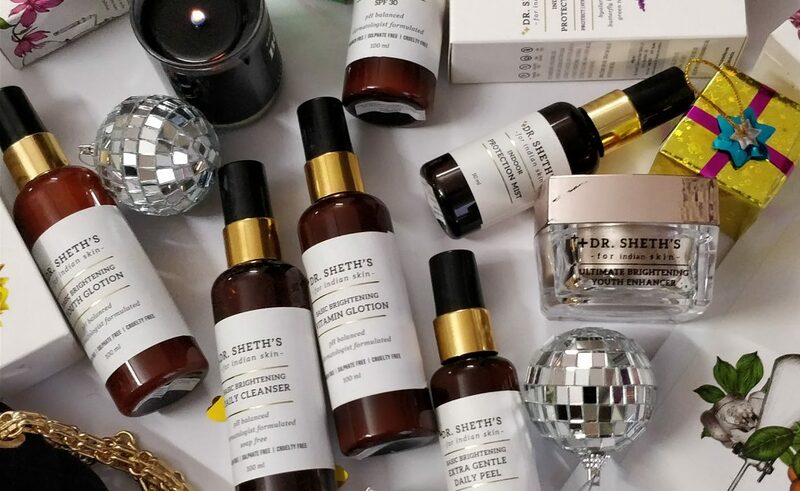 In this post I am featuring the Dr Sheth’s luxury skincare products that are specially designed for our Indian skin. 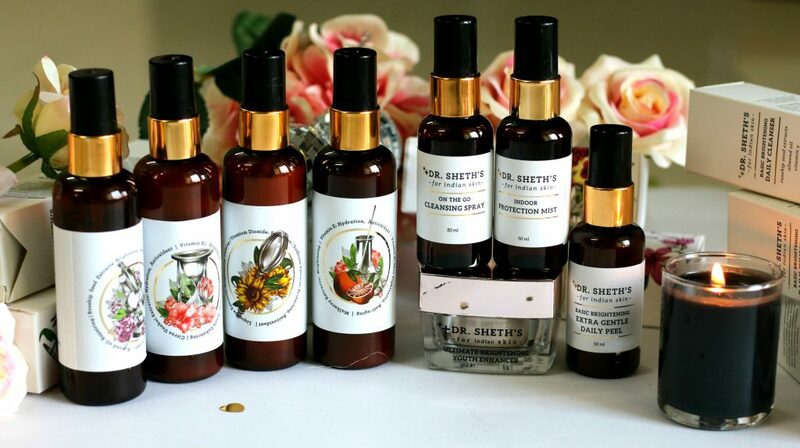 Dr. Sheth’s products contain higher quantities of actives, which are scientifically proven and created for Indian skin. All of the products from the brand are formulated by Dr Rekha Sheth who is India’s first Cosmetic Dermatologist and she launched her own line of skincare products formulated ESPECIALLY for Indian skin.Who else know our skin better than the expert herself, that we need protection from much more than the UV and that our Indian genes cause our skins to be more sensitive to pigmentation. Tested on a variety of Indian skin and is sure a solution to all our known skincare problems related to pigmentation and sun damage. Read more to find out whether I like this range or not. I tried and tested these products for over two months before I am up with this review. 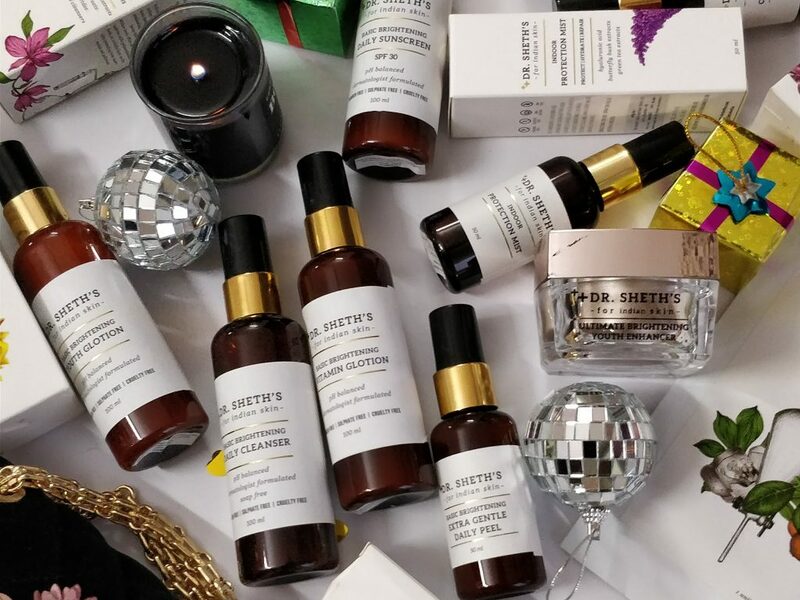 Their product range has everything from – Facial cleansers, sunscreen, lotions, moisturisers, facial peel, sheet masks etc. First thing that I noticed about them is their minimalist yet attractive packaging. They are all plastic PET bottles. Not, glass. But, that doesn’t matter as long as they are travel friendly. 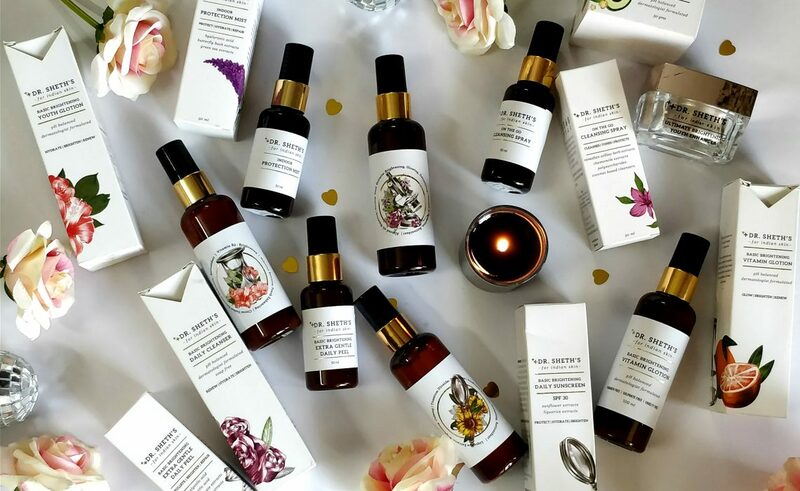 gorgeous packaging and look at those product ingredient pic at the front of every bottle. I love it! 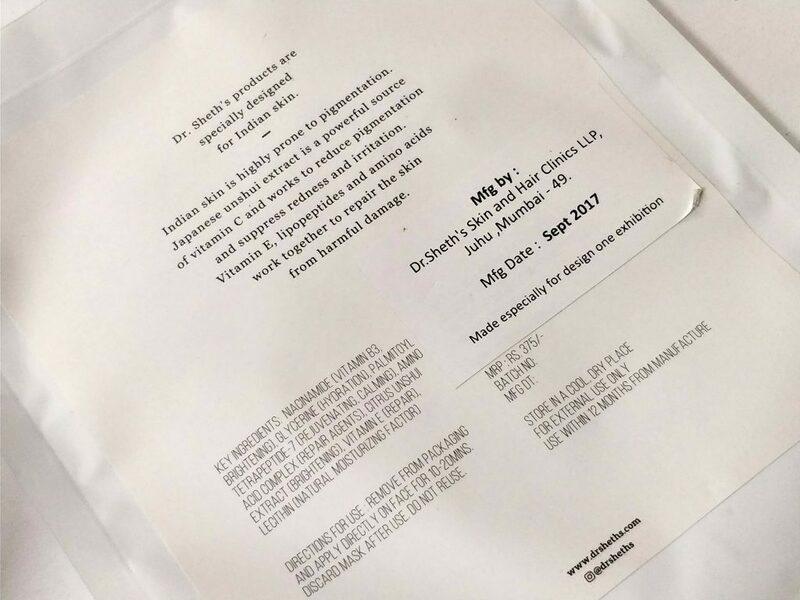 I love sheet masks and I like to use them during my inflight journeys, As a sleep mask after a tired day or while browsing or working using laptop or simply while watching my favorite show. Overall, It didn’t irritate my sensitive skin. Mask was easy to use and I like how hydrating it made my skin. Skin felt soft and radiant. I love the fact that this mask contains Niacinamide. 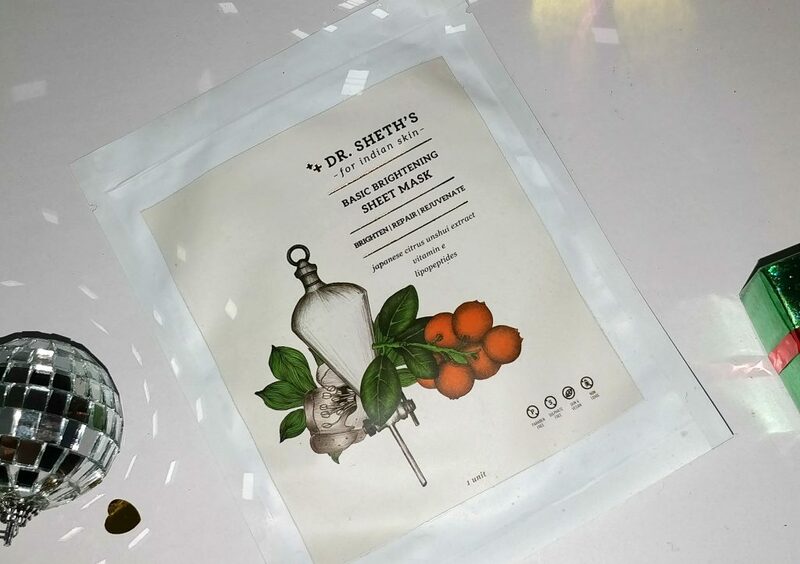 I have never seen any sheet masks in Indian market that has Niacinamide, Also known as vitamin B3 ; Niacinamide is a very effective skin-restoring ingredient that offers multiple benefits for skin. Properties include ability to visibly improve the appearance of enlarged pores, uneven skin tone, fine lines, dullness, and a weakened skin surface. 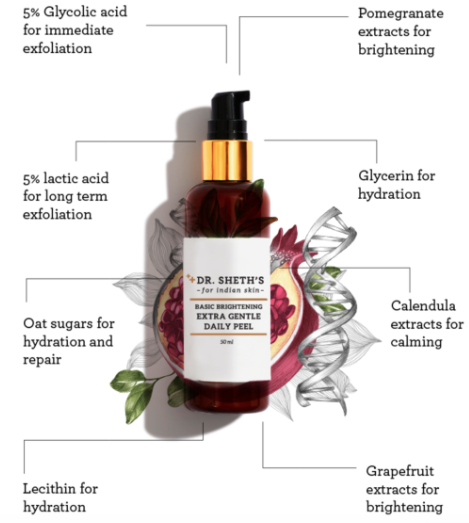 Dr. Sheth’s basic brightening daily cleanser is made of rosehip seed extracts along with vitamin E and it repairs your skin from pollution induced damage.Also has the hero ingredients like coconut and almond oil that deep cleanse and give your skin a glow. It’s one of my favorite day facial cleanser. I use it every day when I wake up. I basically take 2 pumps of this to my Clarisonic Mia 2 and gently cleanse my skin, massage for 1 min and splash off with cold water. The packaging is super convenient. The pump with the twist lock makes it super easy to dispense the product. 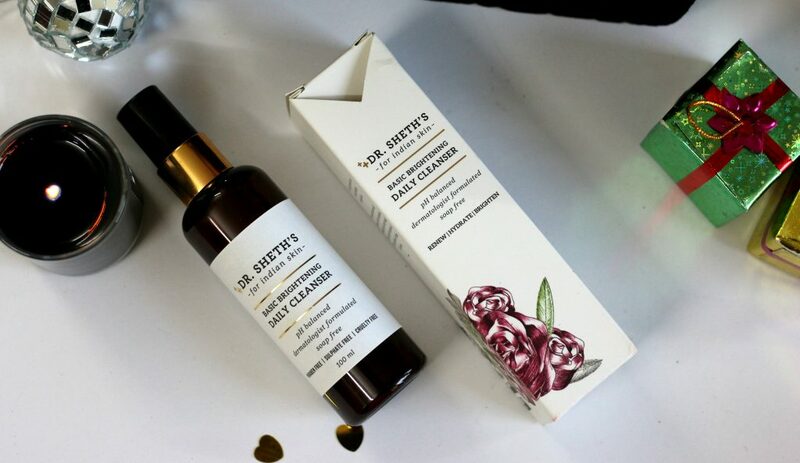 It smells pleasant and this daily cleanser is suitable for every skin types. I love this gel cleanser and I love how fresh my face feels every morning after my face cleansing routine. I doesn’t contain parabens, sulphates etc. 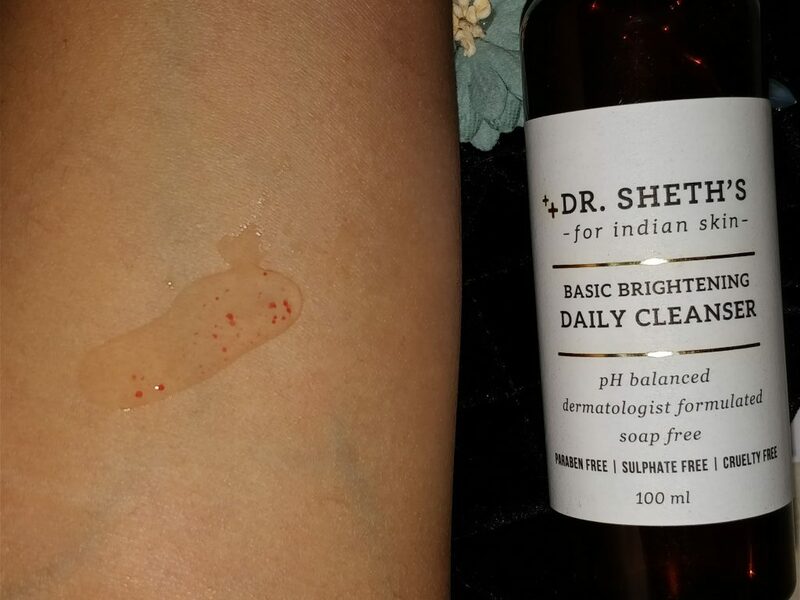 This cleanser makes your skin super clean without making it dry. 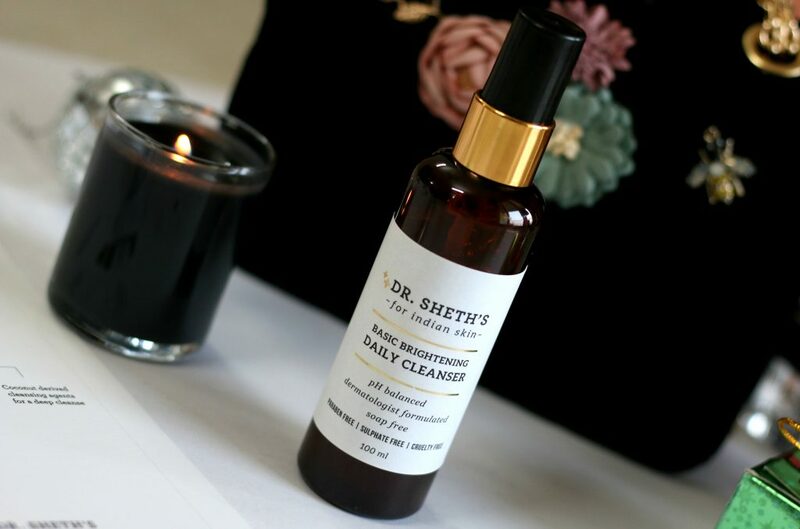 If you are looking for a effective daily cleanser, Paraben, sulphate and cruelty free. Give this a try. 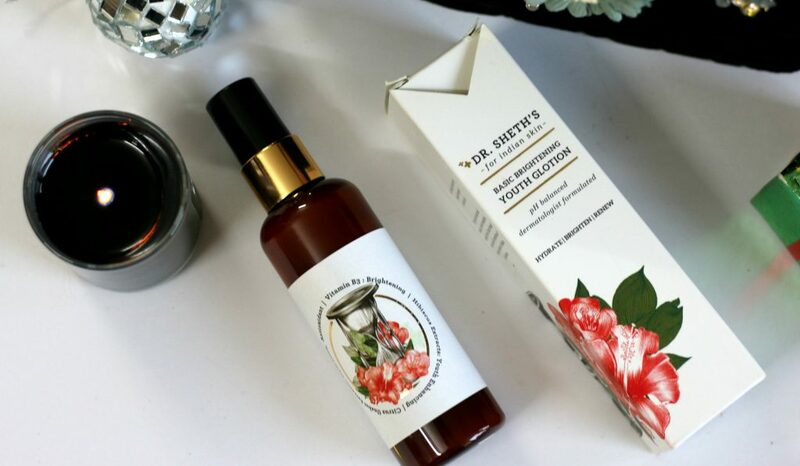 it has the goodness of Rosehip seed extracts, Vit E, Coconut derived cleansing agents, Almond Oil etc. 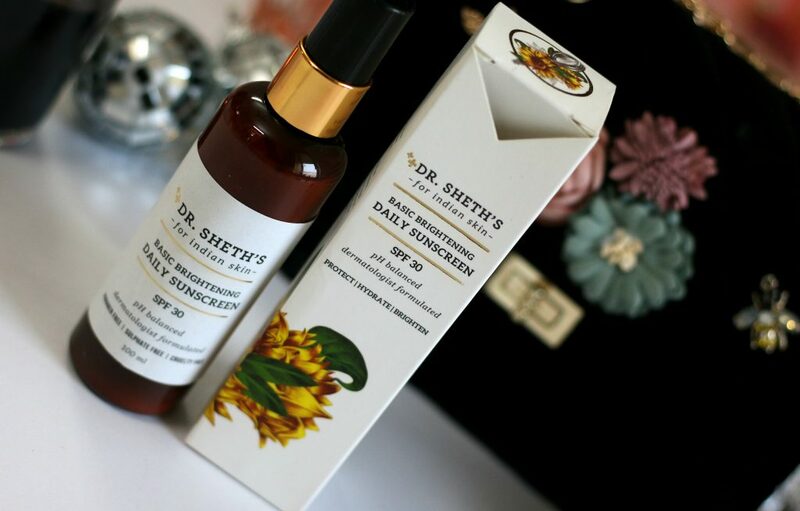 Specially formulated for Indian skin, Dr Sheth’s Daily sunscreen protects against UVA and UVB, and also works to hydrate and de-pigment. It has a matte finish that absorbs instantly. I didn’t notice any white cast. Paraben, sulphate and cruelty free. Mineral filters like titanium dioxide and zinc oxide work with organic filters to protect against the sun’s rays. 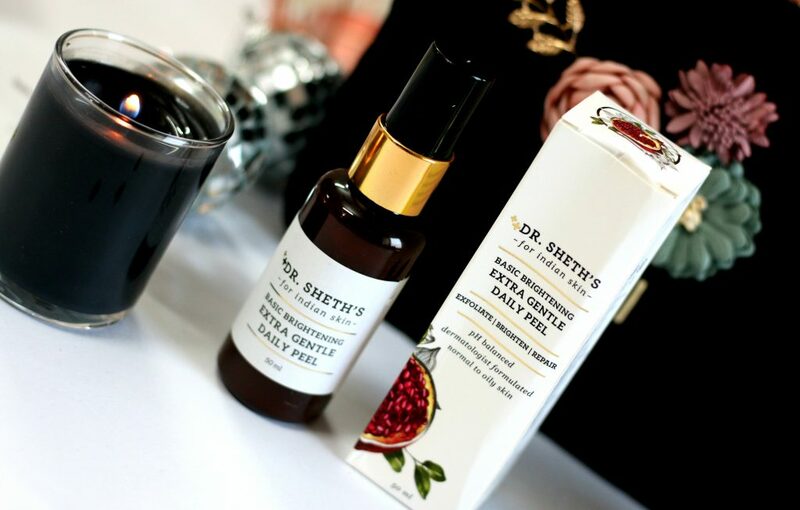 Lecithin serves as a hydration agent to ensure it doesn’t give the skin a dry feel. 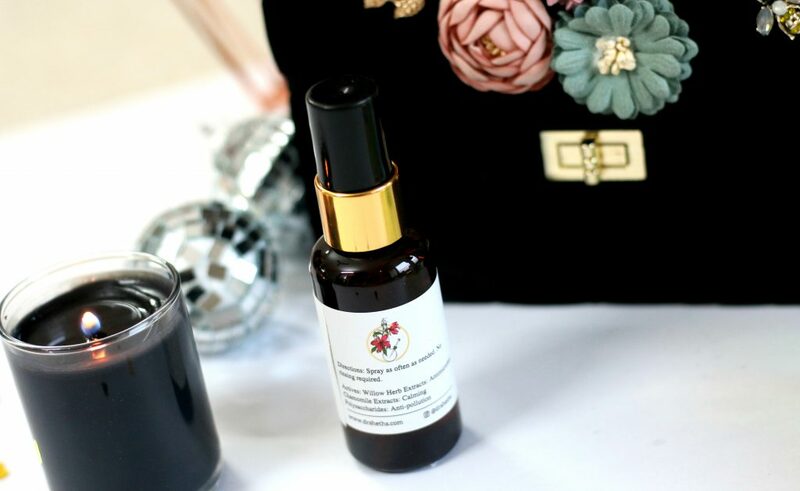 Licorice and sunflower extracts remove pigmentation and repair skin damage as it occurs. 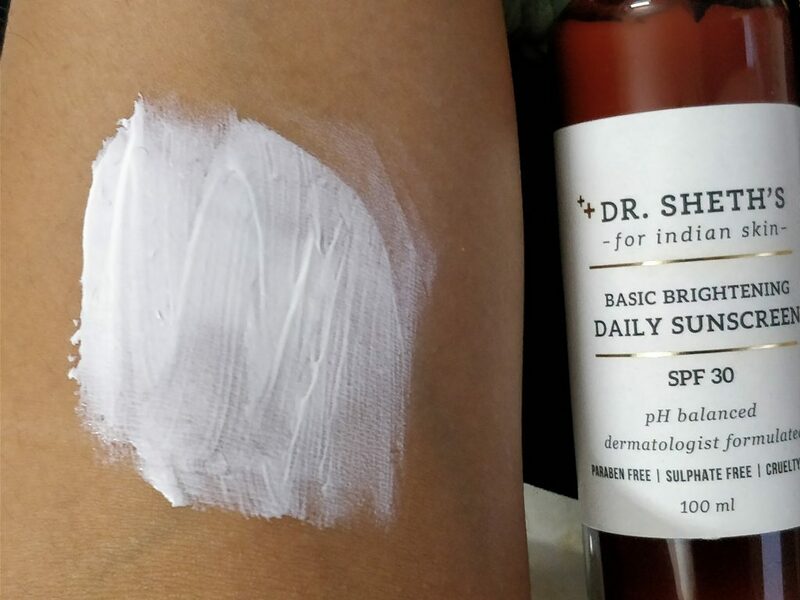 Overall, it’s a lightweight sunscreen that gives a matte finish. I have worn it under my makeup without any problem. It has a light texture and pleasant smell. Nothing overpowering at all. Blends in without leaving any white cast. I also noticed , Like some other sunscreens in the market. This one doesn’t make your face oily or sweaty. For the face, take two pumps and make sure you reapply every 2-3 hours to ensure protection at all times. For the body, take about a handful and apply all over body parts exposed to the sun. Use every day. 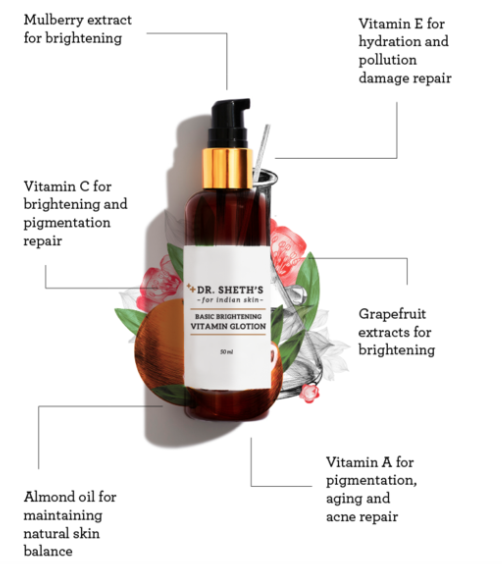 A high dose of vitamins A, E and C work together to provide Indian skin the repair it needs. 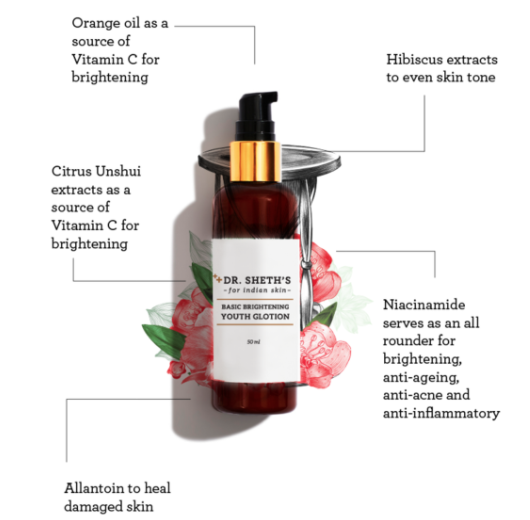 Grapefruit extract spices up the cocktail and supplements the vitamin C to address issues like micro-pigmentation and dullness. Can be applied to the face and body. For the face, apply after cleansing and toning. Consistency is like that of a lotion. Super light weight on face. I find the texture similar to the youth glotion from the same brand. If you don’t prefer creams, and is looking for a daily wear face and body lotion that is paraben and sulphate free. 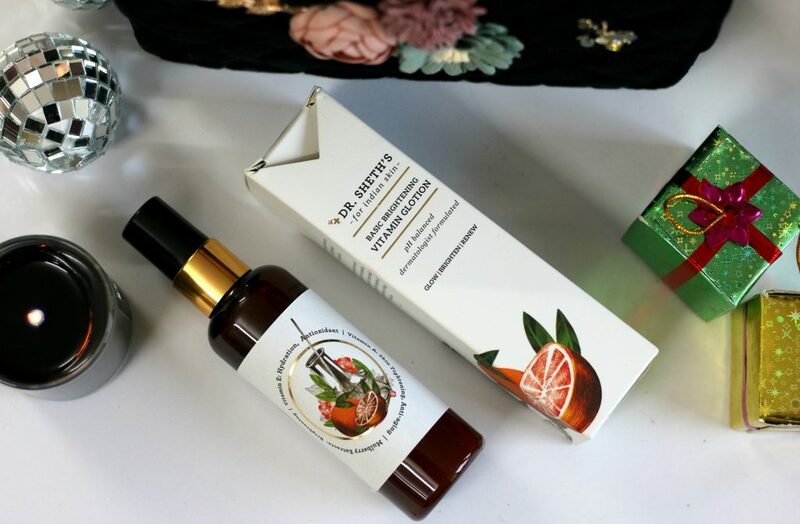 It has Mulberry & Grapefruit extracts for brightening; Vitamin E hydration and pollution damage repair ; Vitamin C to fight pigmentation problems ; Vitamin A to fight pigmentation, acne etc and Almond oil to maintain the natural skin balance. 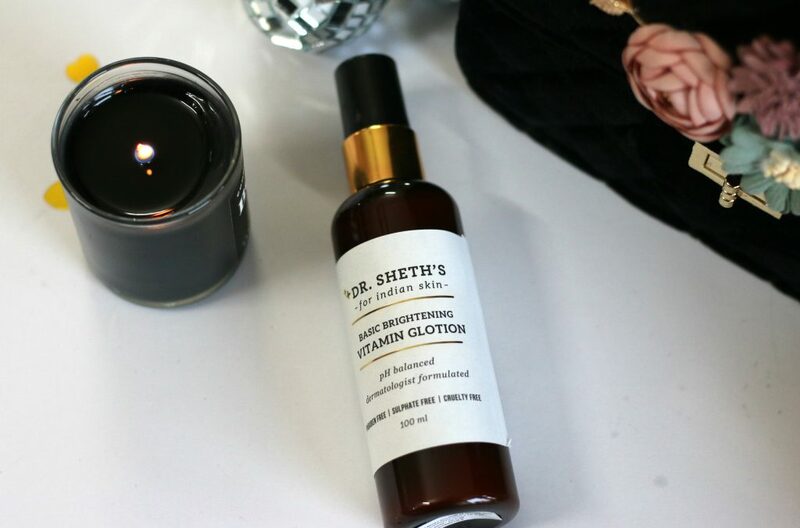 If you are planning to buy any one of the lotion – I would suggest to go for the Basic Brightening Youth Glotion as it has Niacinamide – I prefer that. If you don’t have much pigmentation or acne scar problem. I think Vitmain Glotion is a good choice. 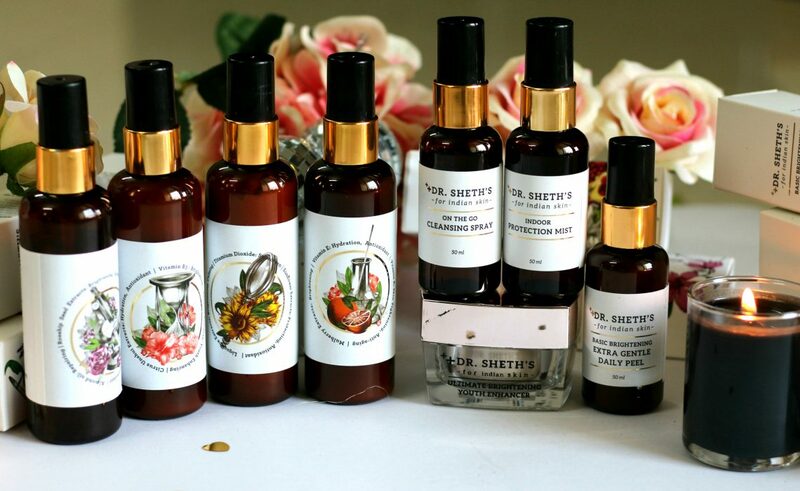 These glotions are perfect during summers when you don’t like to wear a heavy moisturiser. These feel light weight on skin and you only need half a pump for the face. 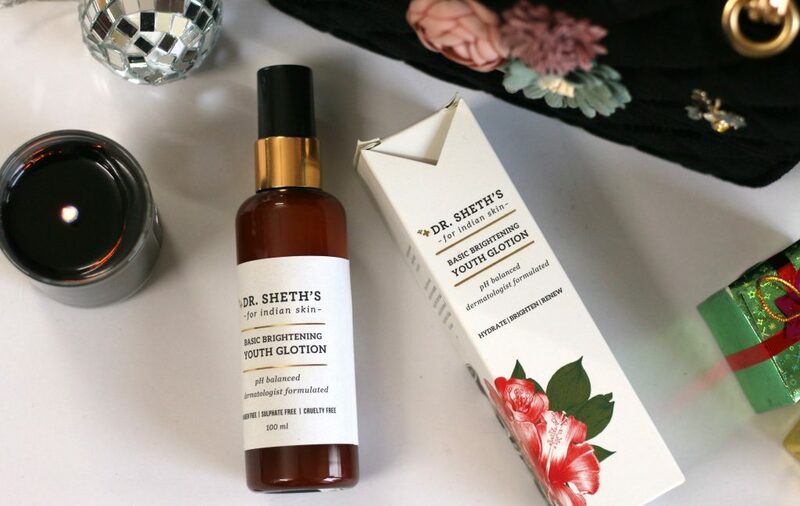 Dr. Sheth’s Basic Brightening Youth Glotion is probably the only product in the Indian market that contains a good percentage of niacinamide along with hibiscus extracts, citrus unshui extracts and orange oil for a super brightening effect. 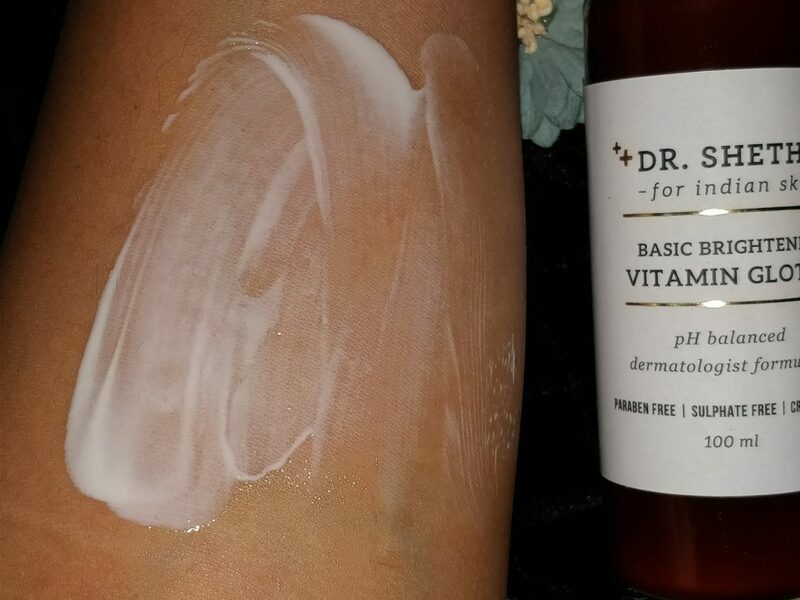 Niacinamide / Vitamin B3 is an all rounder that works against inflammation, acne, pigmentation, tanning and aging to ensure an even clean skin tone. This is one product from their range I had high expectations from. Especially because its a face and body lotion. I like to use this on my arms too. The consistency is that of a lotion, super light weight, fast absorbing on face. It hydrates face area really well. I use it as a massage lotion during night where I don’t prefer wearing a heavy moisturiser. I don’t think its a good idea to use during day time, because of its lotion like texture, makeup can slide if applied on top of this. I also feel, oily skin girls need to use it less. Half a pump is enough for the face and one full pump to cover face and neck. You will start to see a difference on acne scars, in grown hair marks etc within 6-7 uses of this lotion. It gives a good glow to the face. 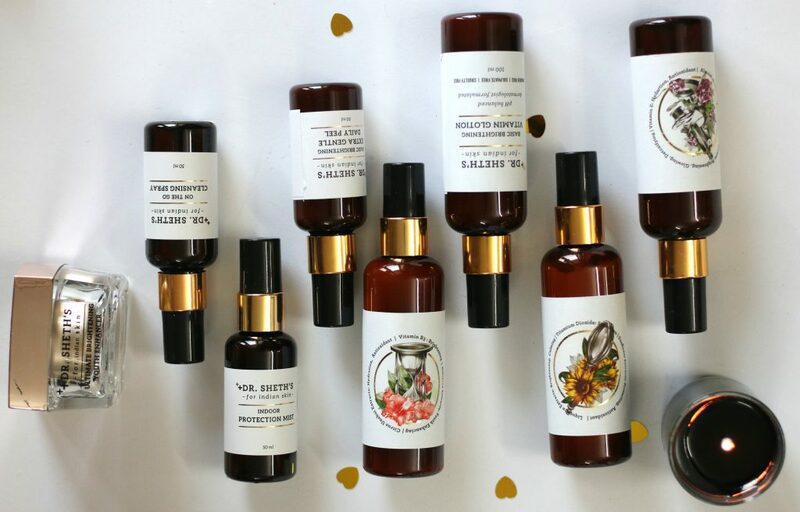 I love facial mists and I have a bunch of them. Screen light and visible light can make pigmentation worse. Also, being in an air conditioned environment most of the time, long flight journeys etc can dry the skin out. 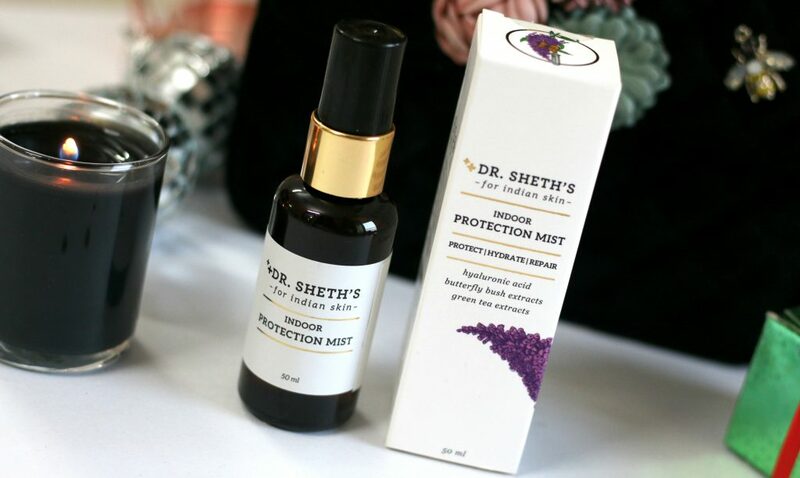 Dr. Sheth’s Indoor Protection Mist has butterfly bush which contains molecules that work as visible light filters along with hyaluronic acid to keep the skin plump and hydrated. 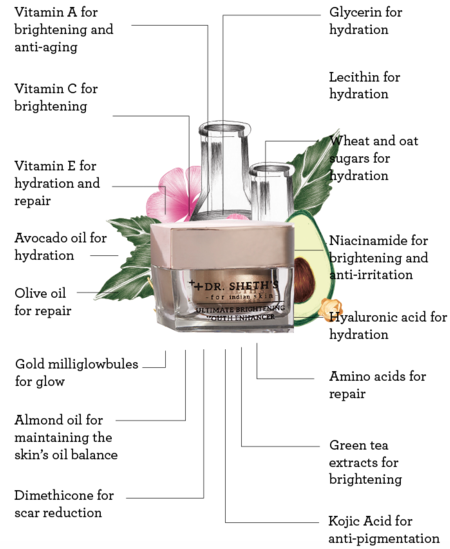 Green tea extracts and Niacinamide brighten the skin. Keep the bottle about half an arm’s length away from the face and spritz. Let the essence absorb and enjoy. Apply every 2-3hrs for best results. I use it most of the time. This is alongside when I am working on my blog, editing etc. 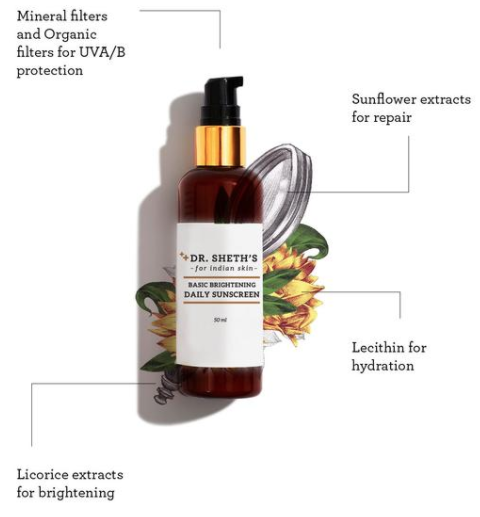 PURIFIED WATER, BUTTERFLY BUSH FLOWER EXTRACT (IR/BLUE LIGHT FILTER, ANTIOXIDANT), WHEAT AND BERRY SUGARS (XYLITYLGLUCOSIDE, ANHYDROXYLITOL, XYLITOL) (HYDRATION), CALENDULA EXTRACT (CALMING), GREEN TEA EXTRACT (ANTIOXIDANT, BRIGHTENING), NIACINAMIDE (BRIGHTENING, CALMING, ANTI-ACNE), PHENOXYETHANOL (PRESERVATIVE), DISODIUM EDTA (HEAVY METAL REMOVER), HYALURONIC ACID (HYDRATION), TWEEN 20 (SOLUBILIZER), PERFUME. 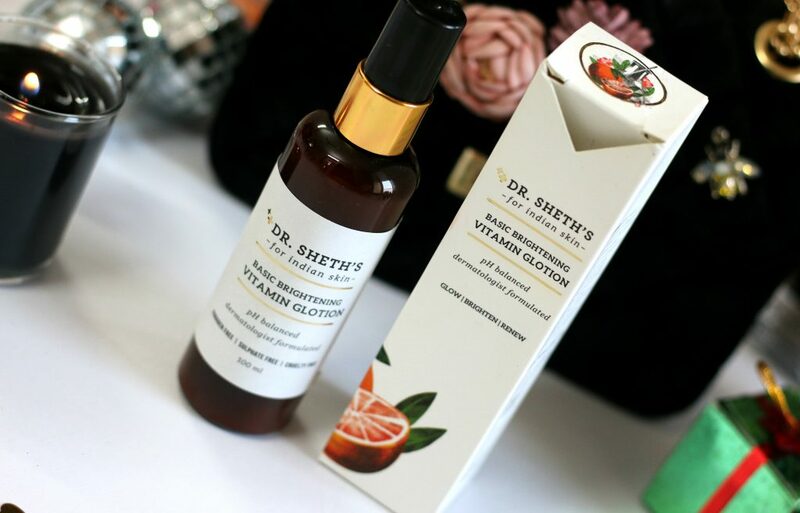 This is one of my favorite product from Dr Sheth’s. It’s the extra gentle daily peel. It’s a lotion peel, it works to deliver alpha hydroxy acids (fruit acids) in a controlled and slow manner to evenly exfoliate the skin. 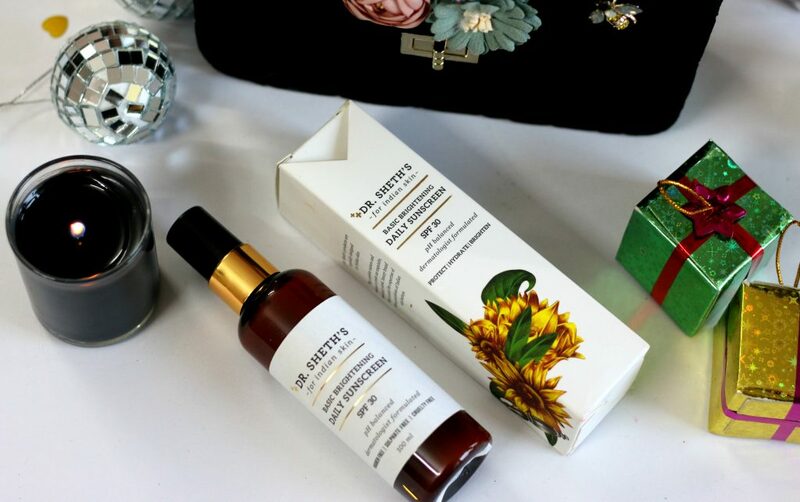 Formulated especially for brown skin, it has calendula that calm down skin and the wheat and oat sugars hydrate the skin. Alpha hydroxys evenly exfoliate the skin to give you a glow. 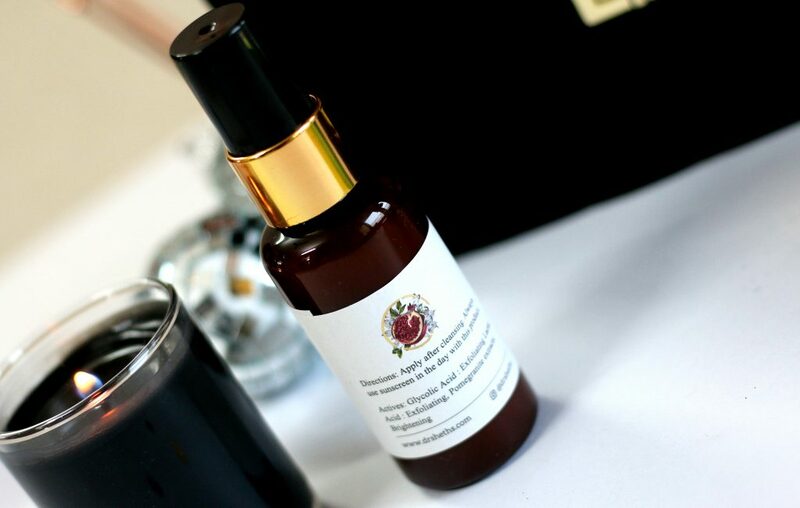 The pomegranate extracts contain egallic acid which inhibit melanin synthesis. Calendula extracts and wheat sugars calm the skin post exfoliation. For pigmented spots: apply on spots. For tanned or uneven skin: apply every third day for three weeks, every other day for two weeks and every day after that. As a mask: apply a thick layer on the skin. Leave on for 5 minutes and then wipe off. 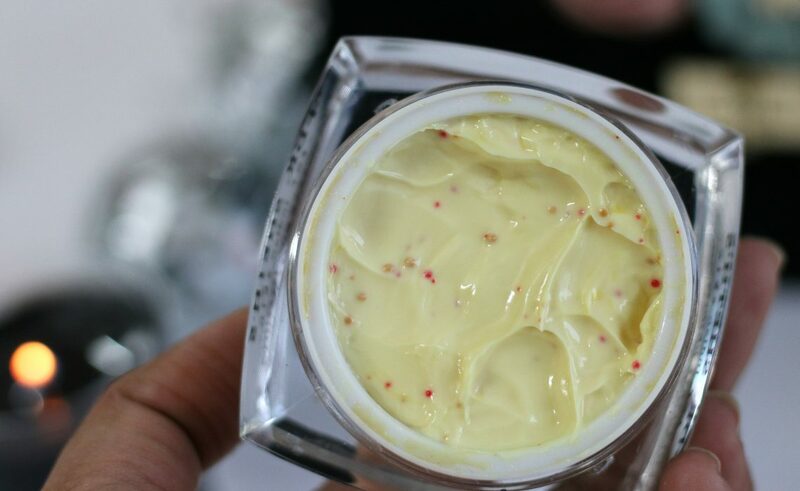 Can be used for Normal skin, Oily/Combination skin, Mature skin. Do not use if your skin is injured or extra sensitive. This daily peel is perfect for exfoliation in your skincare routine. 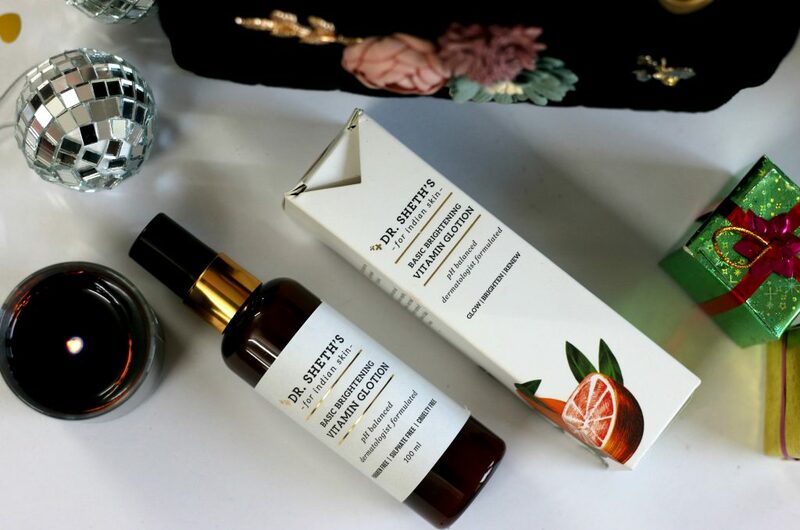 It contains 5% Glycolic Acid (for immediate exfoliation), 5% Lactic Acid (for long term exfoliation), pomegranate extracts , Calendula extract, wheat sugars etc. 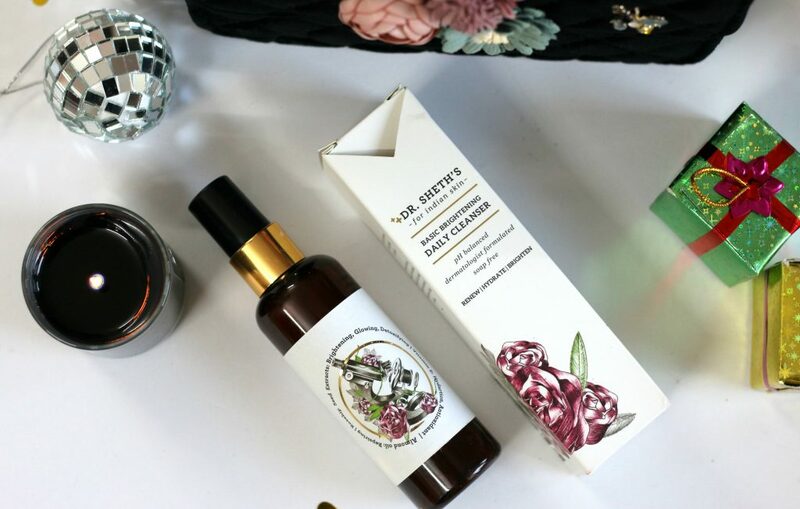 I have a sensitive skin and I didn’t experience any irritation on using this product. A slight tingling or itchy sensation is normal. 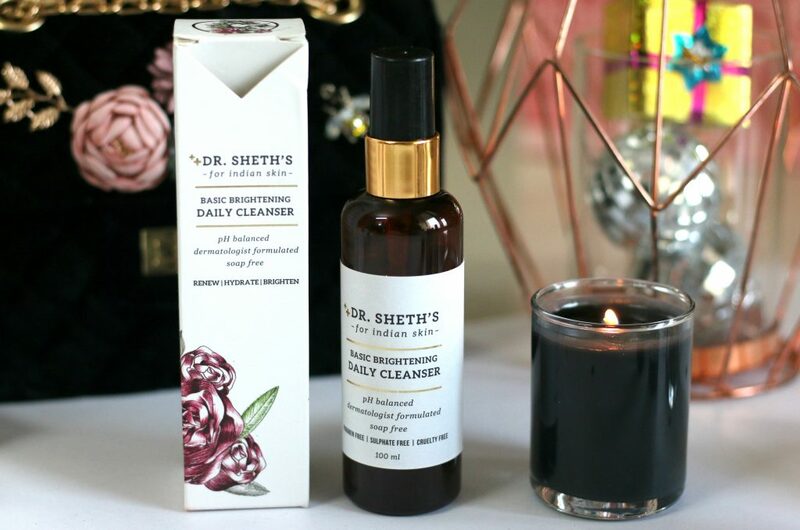 I washed my face using gentle daily cleanser from Dr Sheth’s and after wiping off all water using a soft wipe and making sure my skin is free from all products. I applied this peel in a thick layer avoiding eye area. I let the mask on my skin for not more than 5 minutes. You can start by applying it on every third day for three weeks, every other day for two weeks and every day after that. 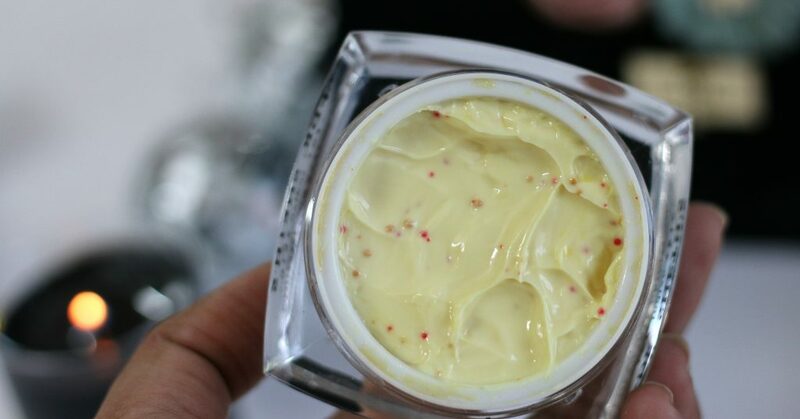 As a mask: apply a thick layer on the skin. Leave on for 5 minutes and then wipe off. I wiped off using a wet muslin cloth and massaged using ice on my face after which I applied a moisturiser. Youth Glotion from the brand and a sunscreen. I could see a big difference in my skin texture in about 6 uses. I also saw the acne marks fading fast, Overall skin appeared radiant. Please make sure, As it’s a peel – Wearing a sunscreen is mandatory while using this product. It’s better to avoid sun exposure when you are using any peeling treatment/products. 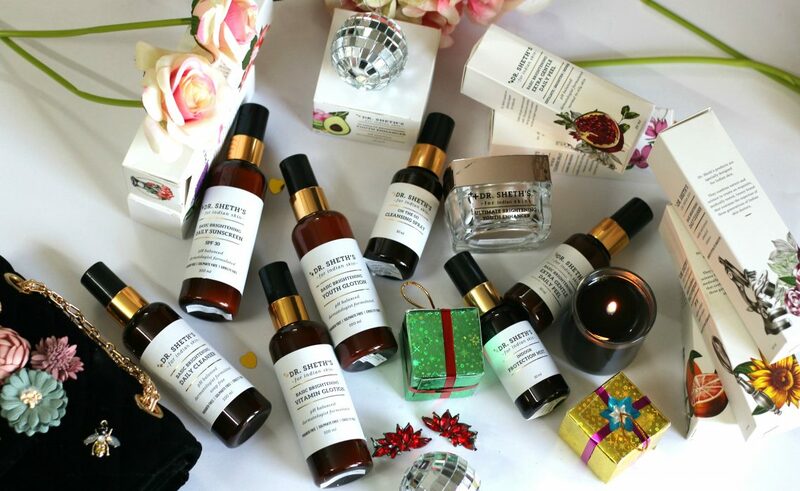 If you are suffering from acne scars or pigmentation issues on face ; This is perfect for you. 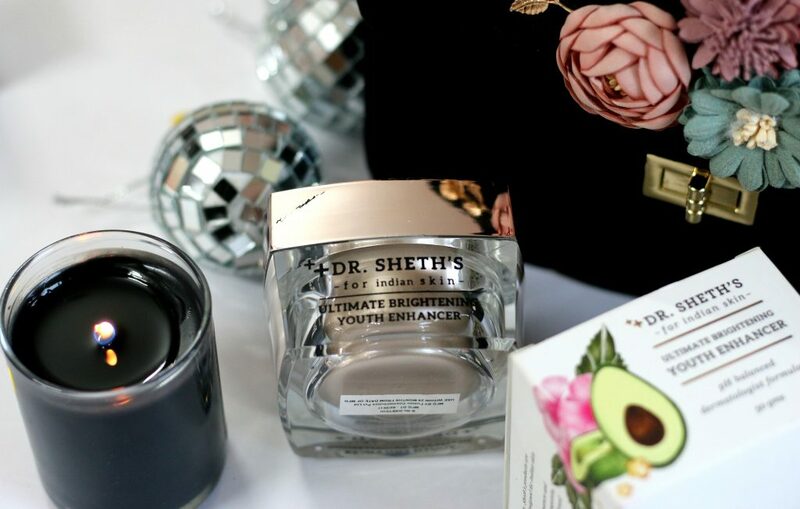 Dr. Sheth’s Ultimate Brightening Youth Enhancer is a blend of actives like kojic acid and vitamin A battle age related pigmentation. Hyaluronic acid, vegetable oils and wheat sugars all work to keep the skin hydrated and plump. This hydrating cream with a bunch of over 15 active ingredients promotes cell regeneration. 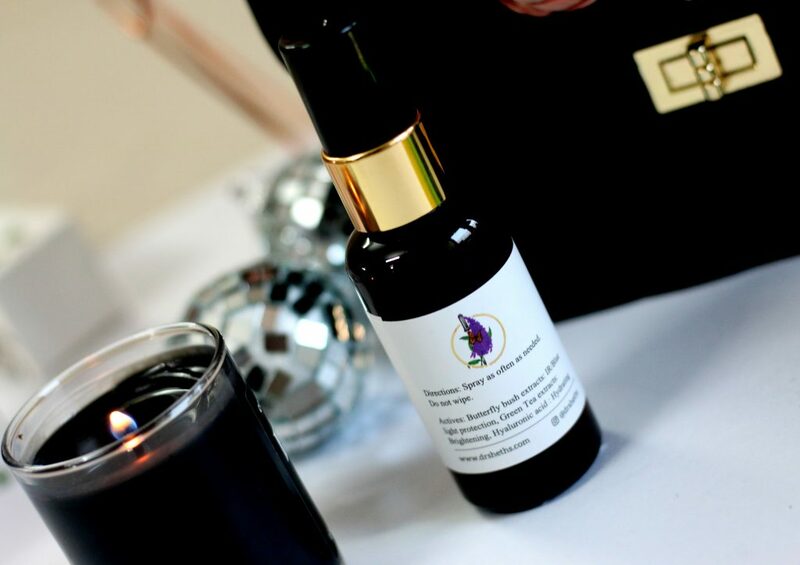 It helps with skin pigmentation, scarring, hydration and repairing your skin. Perfect Night Cream! I love the texture of this one. Fast absorbing on the skin. It makes skin really supple as well. My mom love this cream too. This work best as a night cream. If you are looking for a night cream with skin scar clearing and brightening ingredients – This is perfect for you. Now, this product is one of it’s kind – I have never used something like this. 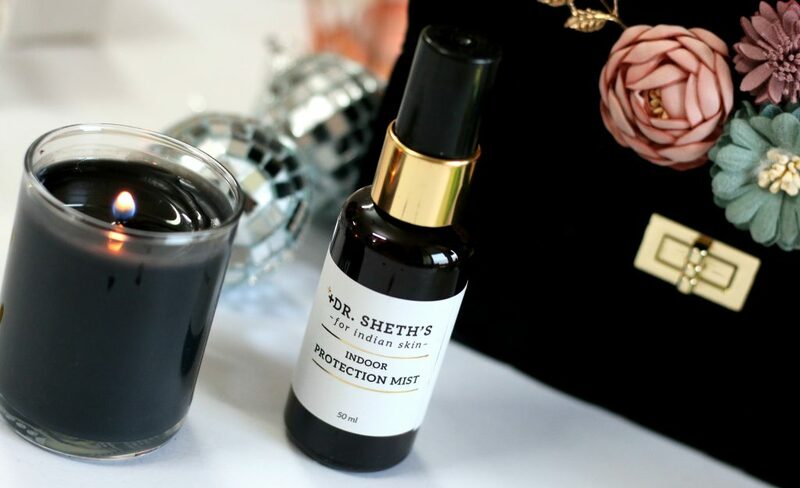 This product works as a light cleanser to clean the skin and provide an invisible anti-pollution layer that prevents particulate matter from entering the skin. I think this is perfect if you are traveller or if you are a college goer or somebody like me who lives in a polluted city. Polysaccharides work to prevent heavy metals and other pollutants from entering the skin. They are mild cleansing agents that cleanse the skin of superficial grime. Cinnamon bark manages excess oil production and willow bark extracts work as antimicrobials. Keep it half an arm’s length from the face, spritz and then wipe. Use as often as needed. No rinsing required. That’s all of the products in there. 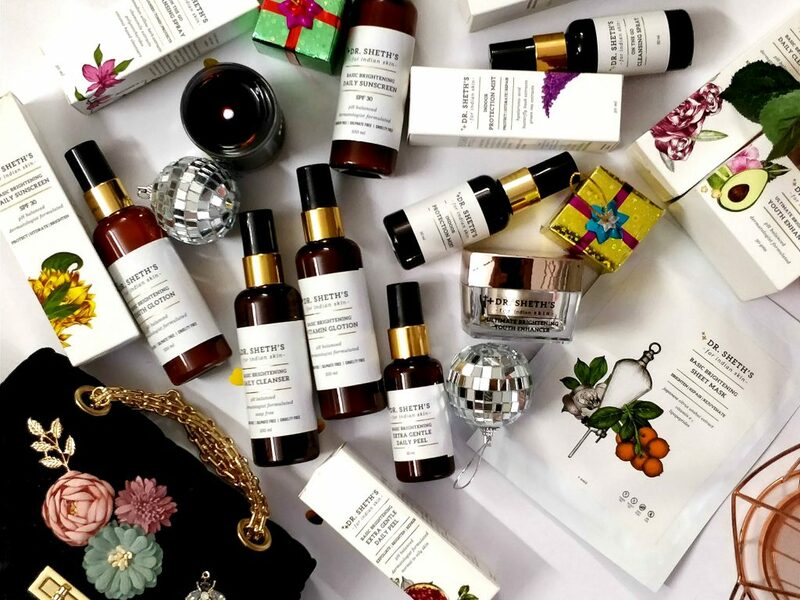 Any skincare fanatic can tell you that these ingredients are not easy to find on the Indian market, and if they do – Definitely, they are not tested on Indian skin, These skin loving active ingredients doesn’t come for cheap too. Also, Please make sure – When you are using products like Peel etc – Be sure to use a sunscreen. Even if you stay indoors. Please use a sunscreen. 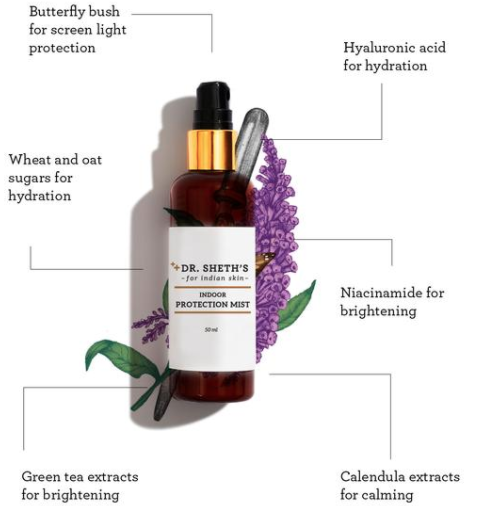 Dr Sheth’s Basic Brightening Collection is a bunch of everyday skincare essentials that targets all common skincare concerns. 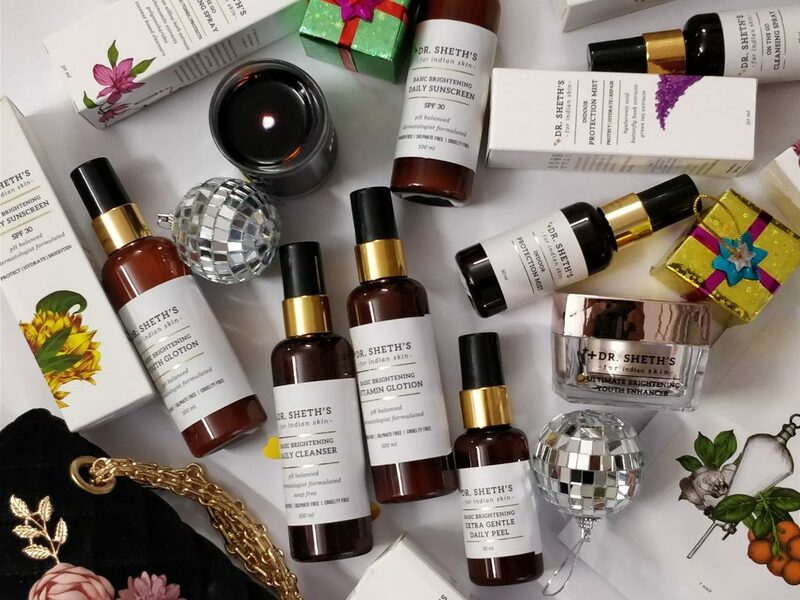 These products are targeted to cleanse your skin in the most gentle and effective way, and repair, renew and even out your skintone leaving a noticeable glow on the skin. 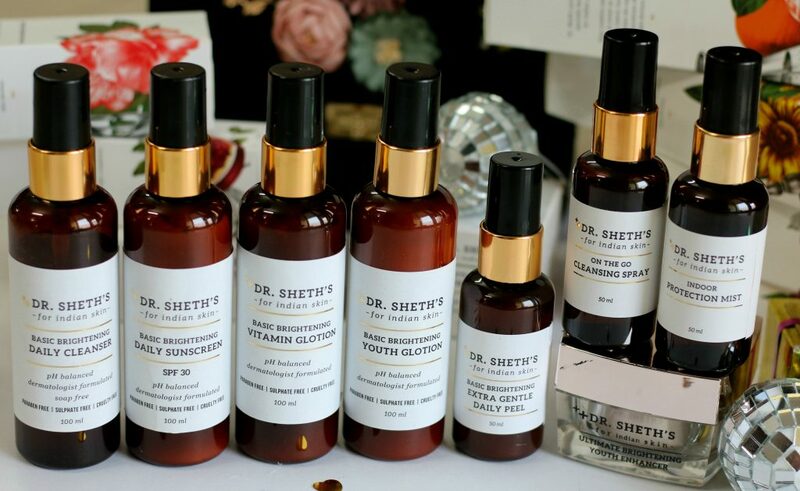 Dr. Sheth’s products combine nature and science to create an exquisite, medically tested, luxury brand that contains the expertise of three generations of Indian skin doctors. Products marked with(*) are Press Samples sent to me by brand. 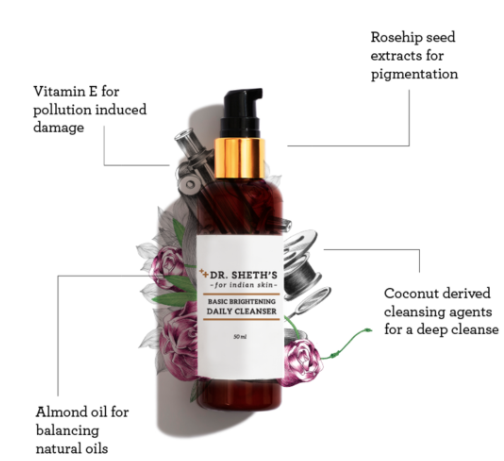 Looks like treasure these ingredients are hard to find , atkeast in indiam pro to consumer quality skin care products . Definitrly i need to give these a try . Loved the detailed post and the clicks..this brand and it’s range definitely excites me..will try soon! I’m a true skin care junkie and I can’t to use this range.. thanks for the detailed review dear.. Thanks a ton dear <3 Hope you also like them..Do try them.. I am loving the brand as well. 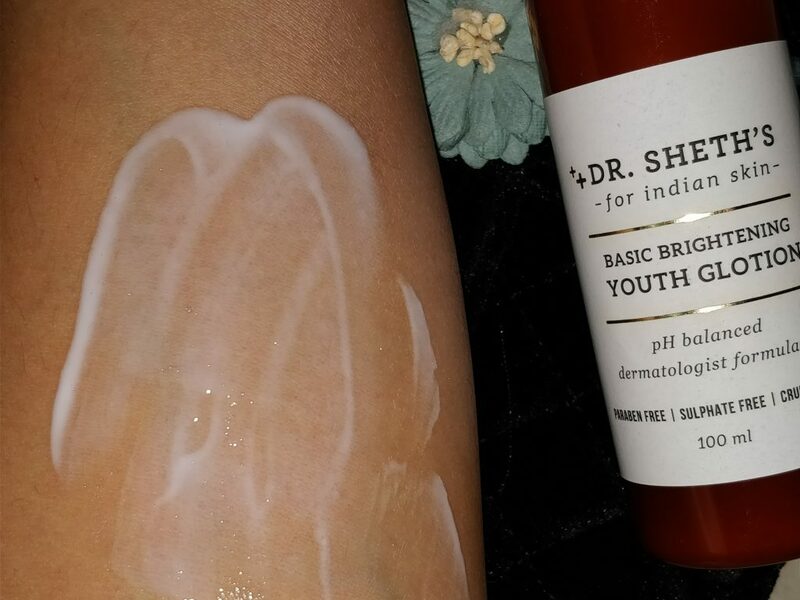 The brightening youth enhancer is perfect for my combination dry skin. My husband loves Youth Glotion. and I also enjoy the Cleanser. I featured it in my 2017 faves. What an ellaborated blog-post !! 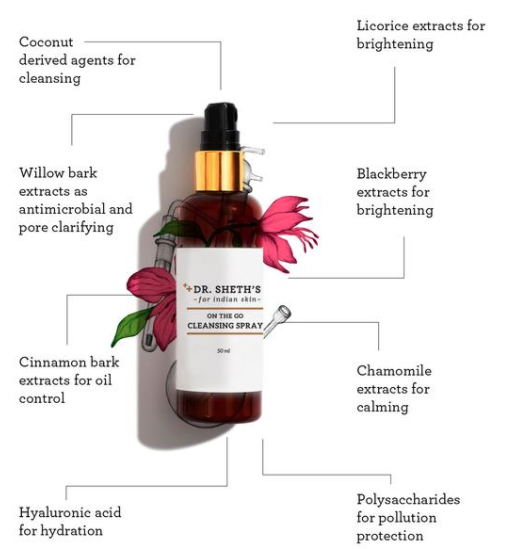 I just love the way you write it all 🙂 thanks – I will def try the cleanser! <3 Thanks a lot Richa ...Do get them...You are going to love it!